The NBA Finals begin tonight as the Miami Heat play the San Antonio Spurs in a best-of-seven series. Recently, there has been a lot of talk about how one team earned their way into this championship by playing together as a core unit, while the other earned it by spending a great deal of money to buy build a team based on three dominant players. After hearing all the talk of “salary caps” and “buying a championship”, our brains went a little crazy and we decided to come up with our own salary cap competition; but involving cars of course. 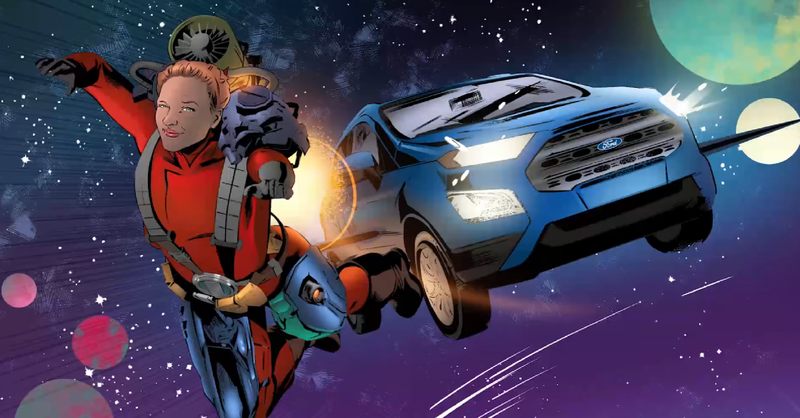 The Carsforsale.com Vehicle Dream Team Competition was born. 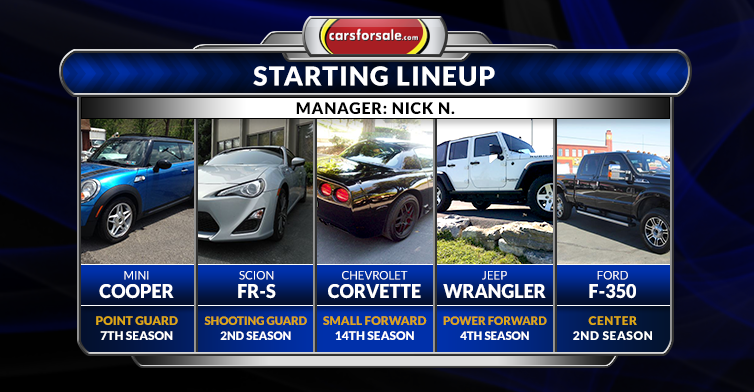 A few team members here at Carsforsale.com had the ability to construct their Carsforsale.com Vehicle Dream Team that would include five vehicles, one loosely associated with each position on the basketball court; Point Guard (PG), Shooting Guard (SG), Small Forward (SF), Power Forward (PF) and Center (C). 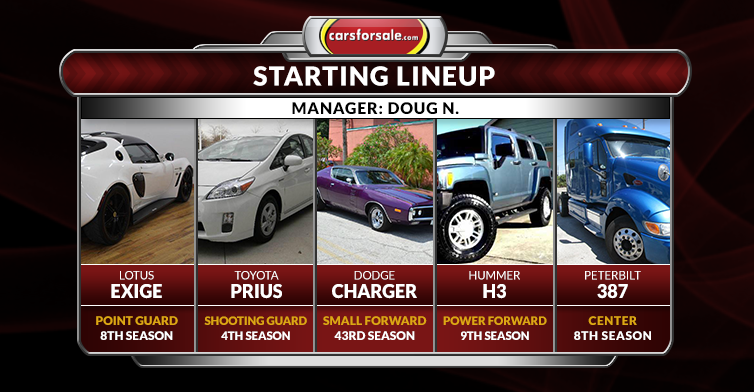 Each player would have a $150,000 salary cap to spend while finding vehicles on Carsforsale.com. Obviously the PG is going to be a much smaller and faster vehicle than the C position, much like basketball. Looks fast and plays fast. The Lotus will get up and get out in transition. Undersized for the position but still capable of being a solid contributor. Not the sleek pick that many will go with, but it will get the job done. The veteran of the group. Older but still full of muscle. Able to fill multiple roles as needed but specializes in taking up space. The big guy in the middle. Ready to work. Sneaky quick with its turbo, and can handle very well. It is a gem plucked from the Euro league. A rookie when it comes to sports cars, but it’s a good value at the price and has a lot of potential. 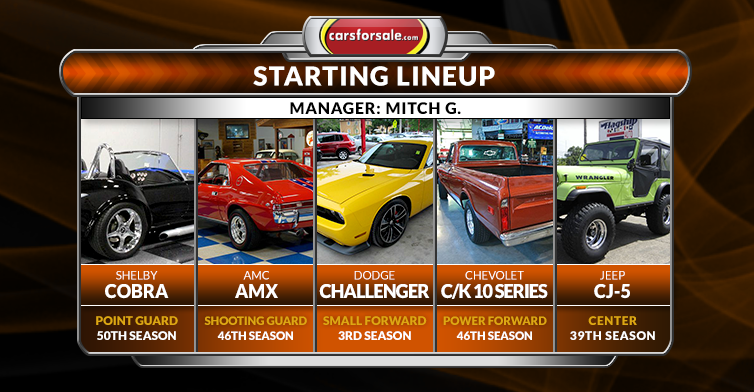 The main piece of the team, the Corvette is the hall of fame veteran holding the team together at the 3. 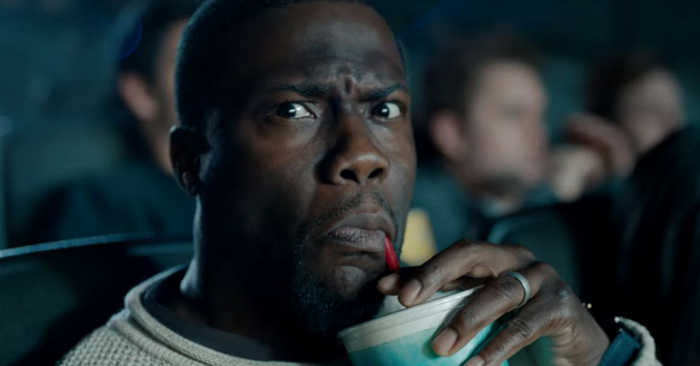 It is an American icon. At the 4, the Jeep wrangler is a little undersized, but very capable SUV. 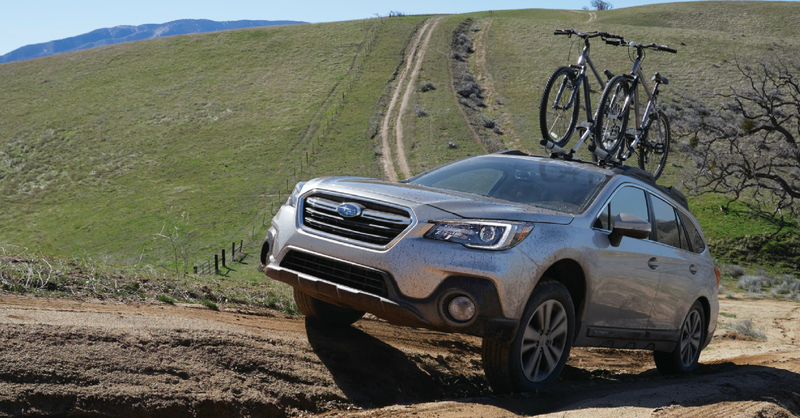 It can go almost anywhere with 4WD. The beast in middle that can carry the teams load if needed. Experience, experience and more experience. You can make it to the ‘ship with a young team, but you will NOT win without the experience that come with age. A game-changer and provides the stability the team needs. With automatic transmission this car has the power to control the game without the also controlling the spotlight. The #1 overall pick a few years back and now developed into an All-Star. The perfect PF, it’s not glamorous but this position doesn’t need to be. Doesn’t add much size to the team but the versatility of the Jeep gives it the ability to step up and play the Power Forward position if needed. The 911 can get up and go like none other. 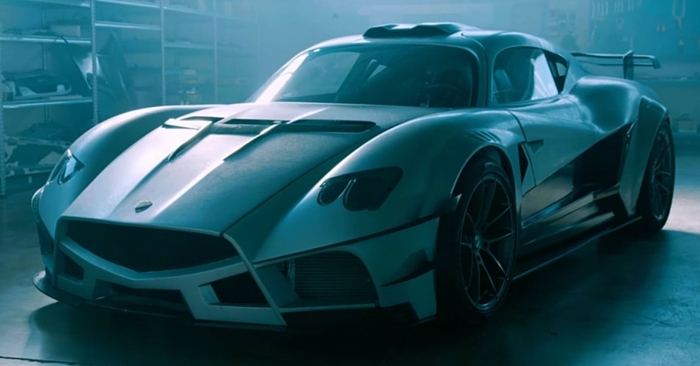 Few can compete with the Viper’s powerful V10 Engine. The 2014 Mustang is a rookie fan favorite and a great leader in the industry. 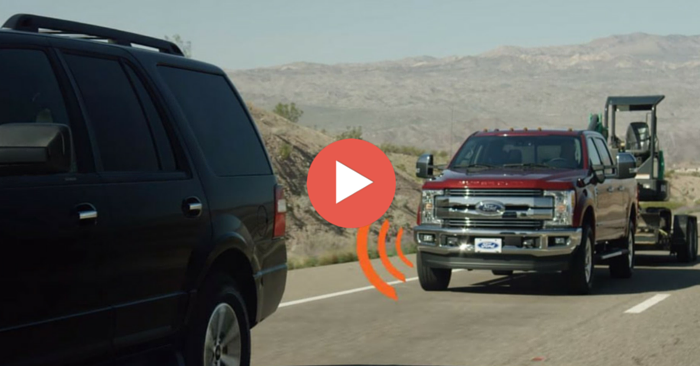 The F-150 is powerful, reliable, and the backbone of the team. The Mack truck is a beast in the paint, leading the league in blocked shots and rebounds. 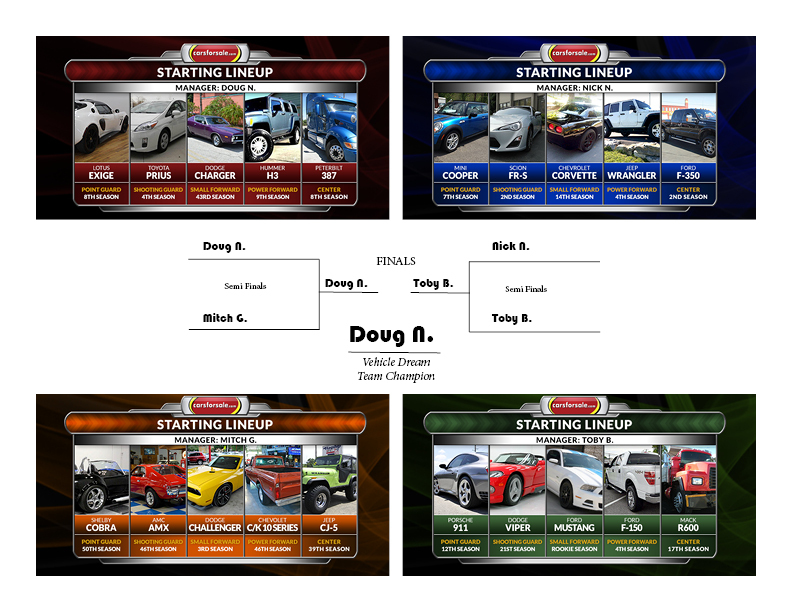 And the winner by super scientific analysis is…..
Congratulations to Doug N. for winning the 2014 Carsforsale.com Vehicle Dream Team Competition. Thank to all who played and it came down to a last-second, buzzer beater from the 2011 Toyota Prius to win the competition in game six. 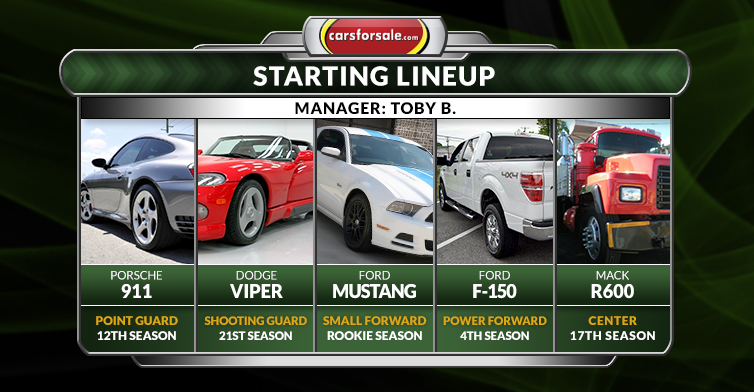 To build your own Carsforsale.com Vehicle Dream Team, around any budget, visit Carsforsale.com. Even if you don’t need a full team, you can be sure that you’ll find what you are looking for.